Well, it has been an interesting summer to say the least. My first commission took longer than I expected and thankfully my client was understanding of the delays. I am sitting at about 99% complete and I'm looking to put the finishing touches on the models tomorrow so they can post by Monday afternoon. 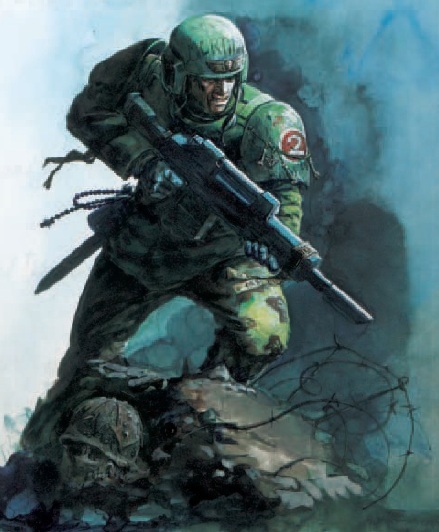 When it is all said and done, the commission consisted of twenty standard Guardsmen, ten Kasrkin storm troopers, a five-man command squad, three heavy weapon teams (six Guardsmen plus their crew-served weapons), one commissar, and one scout Sentinel. That makes forty-two infantry figures and one small vehicle! Making things a little more difficult was a somewhat complicated (and not always uniform) paint scheme. After I get the odds and ends complete, I will take some glamor shots and post them. Needless to say, I learned a lot from this experience. Namely, I have to focus my efforts much better than I do when working on my personal projects. Also, personal vacation time during crunch time should be avoided, considering I lost over two weeks of work time in the month of July and a week in April. One area that needs drastic improvement is streamlining my painting process to increase my model output. In the rush to finish these last few days, I got in to a steady groove and saw a marked increase in output, which really helped me climb over the precipice and start down the home stretch. Seeing the end in sight really help relieve the weight of the project that had been burdening me for some time. Now that I am more or less finished doing work for someone else for the time being, I can focus on some personal projects that I have really been looking forward to. Like many people, my first exposure to "nerdom" was Star Wars and thus it has earned a place in my heart ever since I was a little boy. Since 2001, a Japanese model company called Fine Molds has been quietly churning out high-quality Star Wars kits. 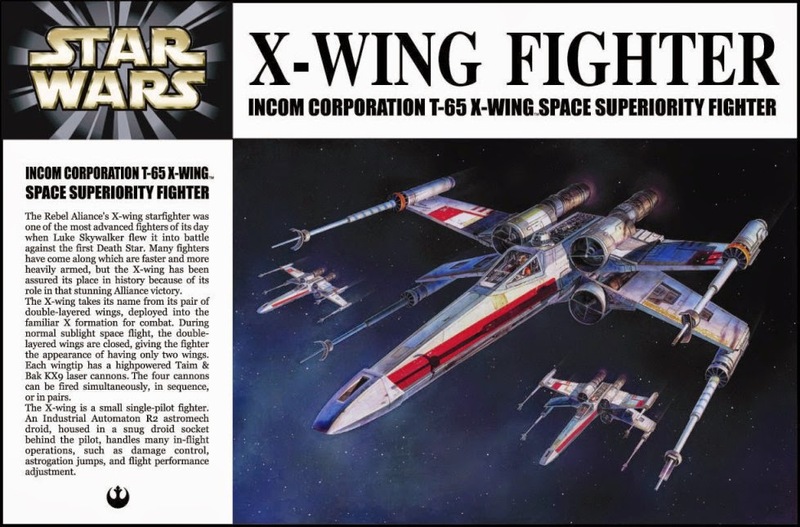 Their Star Wars model kits are considered the most accurate and all-around best kits ever produced, easily surpassing the offerings from other companies like Revell and AMT. However, as most users of the Internet now know, Disney has acquired Lucasfilm in 2012 to the tune of $4 billion dollars, and with that purchase came all of the merchandising that comes along with Star Wars. How does that tie in to Fine Molds making model kits you ask? Well, Fine Molds announced they have lost their Star Wars license in early June and have ceased production of their outstanding kits. Since I heard that news, I have been steady collecting Fine Molds Star Wars kits whenever my bank account has cooperated with me. To date, I have acquired seven of their models with two more on the way in August. Last month I also managed to pick up the greatest kit of them all: 1/72 scale YT-1300 Millennium Falcon! I also have a 1/144 scale Millennium Falcon that my wife gave me for Christmas a couple years ago that is in the process of being upgraded to being a little more screen accurate and I have two more X-wings on order from HobbyLink Japan (one for my nephew and one for posterity). 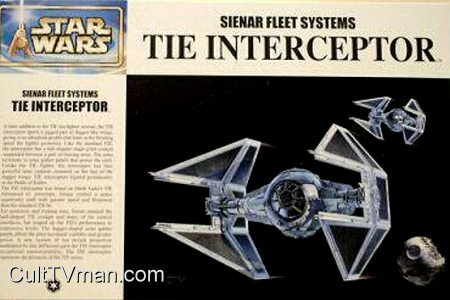 My quest to build all of these amazing Star Wars models will begin with the TIE/Ln fighter since it is most simple out of all the kits. I will finish off the rest of the TIEs and start with the Rebel snub fighters before moving on to the gigantic Falcon (which I plan on lighting). The other thing that will be happening in the near future is a slight redesign of my blog. I plan on taking the "Warhammer 40K" out of the banner picture and changing the colors, so be on the lookout for that.